Do you work from home? Are you in a silo? 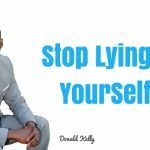 Do you work by yourself? Or are you in the field selling on your own? Listen to this episode as I share some strategies that you can apply that will help you stay competitive even when you’re alone. Have personal goals and share them with your leader or someone in your group to hold you accountable. Having that sense of accountability encourages you to do it. Go to meetings where other sellers are. Having someone in your organization to compete with motivates you to push yourself. Every week, we get together and work to help improve ourselves. For this semester, we’re focusing on prospecting. 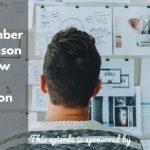 Check out the www.thesalesevangelist.com/hustlers to see a syllabus of what we’re going to be covering. 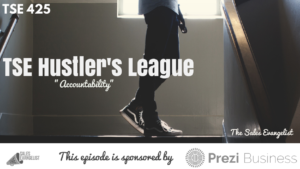 Make yourself perform better by giving yourself accountability and joining a group like the TSE Hustler’s League. Or get someone that can keep you accountable. Without accountability, you’ll stay at a mediocre level. Get accountability in place. Set goals. Compete in a healthy competition. Tired of showing your customers plain, old slide decks? Make a powerful, interactive presentation with Prezi Business that your customers will enjoy and remember. Just go to www.prezi.com/TSE to get a full demonstration.